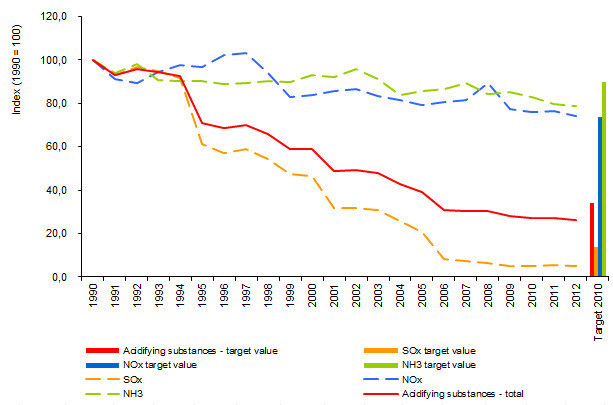 Total emissions of pollutants that contribute to acidification and eutrophication (SOx, NOx and NH3) have decreased by 74 % in Slovenia between 1990 and 2012. The most significant drop of emissions was observed for SOx. 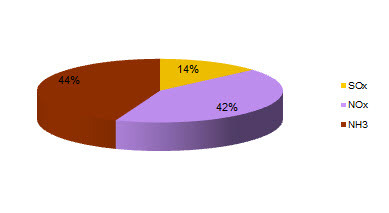 Emissions of SOx have decreased by 95 %, NOx by 26 % and NH3 by 21%. 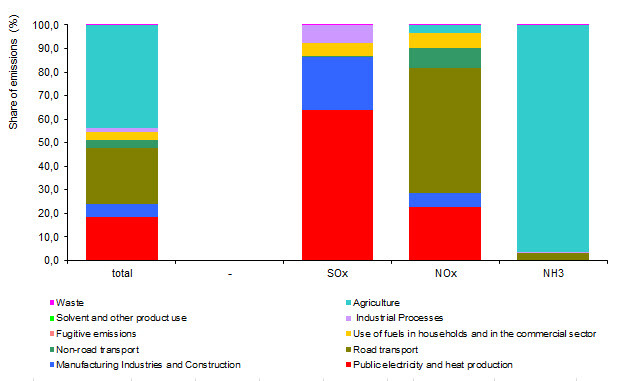 Emissions of SOx and NH3 were in the year 2012 below the national emissions ceiling, while emissions of NOx exceeded the specified target value. Comparison of emissions per capita in EU-28 for the year 2011 ranks Slovenia to the 15th place and is only slightly above the European Union average.